As college funding professionals it is absolutely imperative that we understand the college preparation experience from two specific perspectives. The first is the academic admissions process itself, so that we can help students optimize their experience in higher education for the brightest future possible. The second is the financial side of the process – without which the higher education experience is impossible to begin with! However, we have seen time and time again that, in order for things to work optimally during the college years, the financial side of things CANNOT be left only to the parents. It is absolutely crucial that young people gain a respect for and understanding of money, of the costs inherent to college, and of the importance of their personal role in keeping the financial ship afloat during their college years. It is no secret that college or university in America is an expensive proposition, and it does not appear to be getting cheaper any time soon. For this reason, the most successful students at the next level are going to be those who are able to excel academically, yes, but also those who are develop and implement good financial skills and decision-making throughout their college experiences. Our main focus is on helping families and student to achieve their goals – this process becomes infinitely easier when the following skill set is understood and implemented early in a young person’s life. Should there be any additional questions about the points listed in this month’s newsletter, please feel free to contact us directly. We have many years of experience in helping families to make these processes work for themselves both in the home environment and away at school, and it is our pleasure to assist in making them work for you and for your college bound student! Caring for one’s resources is an extremely vital skill. This skill can actually be learned from an early age and carried on throughout life, but it can also be learned later on if needed. Regardless, understanding and managing one’s finances is something that will become vitally necessary while in college. The immediate level of management will depend, at least somewhat, on where your child will be living. If your child is on campus and will be participating in a meal plan at the cafeteria then budgeting for food will be less complicated, for example. However, if your child plans to live (or eventually move) off-campus then budgeting will become even more important. No matter where s/he lives, you and your child can decide together which things s/he will be responsible for purchasing. For example, your child may want to have money set aside for entertainment or travel while you, as the parent, may want to cover all books completely. Communication and planning are the key, here. Once you’ve decided who is responsible for what then you can move forward. Big Picture: What are your goals? What do you plan to do with the money you have each term or semester? The How: What will you use to manage your money? What tools or strategies work for you? The Gory Details: What are your spending habits? Do you need to adjust some habits to align with personal financial goals? Answering these questions first will help while setting up a monthly budget. Getting started on a credit card for a newly minted college student can be a precarious venture for many young people. The fact of the matter is, that a college student WILL be beginning his or her credit history with the first year of higher education… for better or for worse. However, if the college freshman is responsible it can be an ideal time to start his or her positive credit history. If your child is ready for a credit card then this might be just the time to get his or her credit history started. Getting this history started now will help your child down the road. When they are ready to rent an apartment or buy a car, a credit history will be generated and the longer it is with a clean record will make it easier for them to negotiate and find the best possible deals. There are many cards that have a very low credit limit, say $500, or so. This way your child can begin to work with the responsibility of paying a bill or two with the credit card and then pay it off each month to build positive credit history. Guiding them to understand that the card is really a tool and not free money, this is the key! If they understand that it is to be used in a responsible way then this will help them stay on the right path. You can also assist by helping them set up online reminders to pay their bills so they are never late on a payment. If your child plans on living off campus then this will give them a taste of ‘real life’ right away. One of the great things about living on your own is the chance to cook for yourself. If your child learned cooking skills at home already then living on his or her own should be a snap. Cooking from home has so many benefits. It is healthier and saves a lot of money. There are many online tools that can help with meal prep, shopping guides, etc. There are also many videos that can give cooking basics if s/he is unsure how to get started. Meal planning (and sharing with like-minded roommates, if possible) can also make a hectic schedule go a lot more smoothly. Between classes and studying, it can be difficult to set aside a lot of time to cook a fresh meal. If meal plans are done in advance then your child can meal prep and in just a few hours can have meals planned and ready in the fridge for a whole week. A little bit of planning goes a long way! Tracking expenses can be really tedious, but it’s also important. It gives your child a bird’s eye view of exactly what his or her spending habits are. There are several ways that you can track expenses. The good old-fashioned way is holding onto receipts and sorting through them at the end of the month. This is time consuming but helpful. There are also numerous apps that can link to your checking account that will file the purchases according to the names you’ve given them such as: rent, entertainment, car payment, etc. 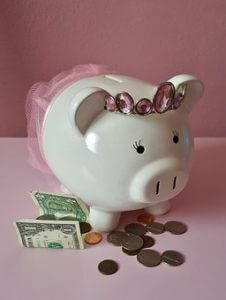 Tracking expenses is a great way to see exactly where your child is spending his or her money. It is difficult to make adjustments and changes if s/he is unsure of where the money is going every month. This way, s/he has a clear idea of which areas are working really well and which areas could use some improvement. This can be difficult for young adults and regular adults alike. Being on your own requires a lot of discipline and that is not always the easiest thing when someone is out of the house for the first time and are no longer under the direct guidance of a parent or guardian. It is important, however, to begin to develop the habits of self-discipline and self control. There are many things in life that may look like a need (especially if we are to listen to marketers and advertisers!) but in reality they are actually a want. Delaying gratification and living without for a while can develop character in a young person. One question your child can ask whenever s/he is about to make a purchase is, “Is this a need or a want?” If it’s a want then it is important to have the maturity to be able to re-think the purchase again. There are so many changes happening when your child begins college. S/he is likely away from home for the first time. S/he is in a new place. S/he will have to make decisions about her life on her own. These are huge things! That is why it is so important to begin early, ideally before college, to encourage your child to begin with the end in mind. Encourage them to have their own financial goals. It could be to save for a game or event or something smaller than that, but give them the incentive to see beyond the current moment. If they understand that their choices today impact their tomorrow then they may be more thoughtful and mindful in the decisions that they make. Some of these tasks might seem more challenging than others for some people, but we have seen the efficacy of them in making the college experience work financially for young people and their families year after year. There is no question that they are an important part of the process of becoming an independent young person and setting the foundation for a bright future after the college years have ended. We publish these monthly newsletters as part of our commitment to assist the parents of college-bound high school students with an understanding of the money side of college readiness. Among our most effective tools – not to mention one that is frequently utilized – is our offering of live College Funding Workshops. Our College Funding Workshops feature the best college funding professionals available and provide insights into the most important information regarding the financial details of preparation for the costs inherent to higher education today. We plan and present our workshops without charging an admission fee to those who attend, but please bear in mind that reservations are required in order for us to maintain an optimal workshop environment for all attendees. If you would like more details about upcoming College Funding Workshops in this area, please give a call to our workshop team at 614-934-1515. This toll-free number will provide you with the necessary information regarding times, dates, locations, and any other workshop questions you might have. Aside from the workshops, you may also be intrigued with our college funding report. The report is called “Nine New Ways To Beat The High Cost of College.” We are pleased to send out a copy to parents who request it, and just like the workshops there is no cost or obligation. To receive “Nine New Ways To Beat The High Cost of College,” give us a ring at 614-934-1515 and we will send a copy out to you right away.